Milwaukee, WI. 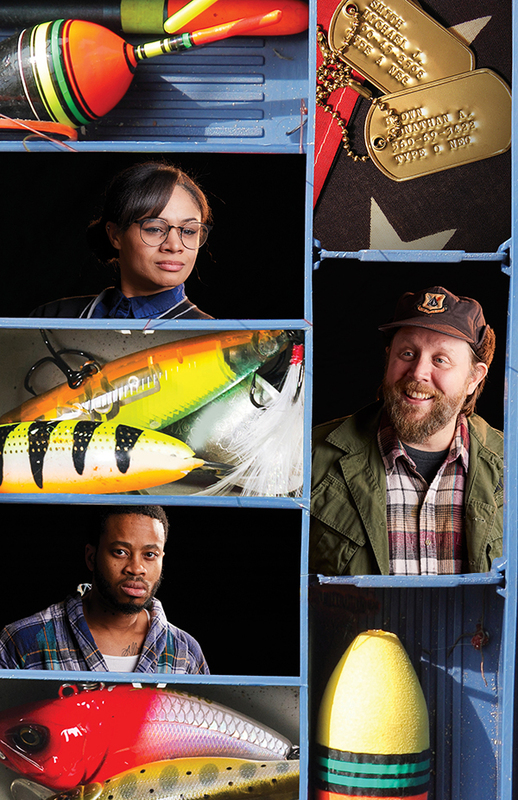 … Just in time for the holidays, MCT is bringing Milwaukee a world premiere comedy from one of Wisconsin’s best-loved playwrights! CHRISTMAS IN BABYLON, the new play by James DeVita, tells a story about two Long Islanders trying to forgive each other – and themselves – for the past. The production, directed by MCT artistic director C. Michael Wright, runs November 21 – December 23, 2018 at the Broadway Theatre Center’s Studio Theatre in the Historic Third Ward. These two Long Island families will be portrayed on stage by five local Milwaukeeans, most of whom are making their return to the MCT stage. Tom Klubertanz will play father Terry McShane, alongside Mary MacDonald Kerr as wife Denise and Sara Zientek as daughter Abby. Terry’s ex-fiancée Kathleen will be portrayed by Laura Gray, and Eva Nimmer will make her MCT debut as Kelly, Kathleen’s daughter, who is just finishing her residency to become a doctor. CHRISTMAS IN BABYLON is the third original play of James DeVita’s that MCT producing artistic director C. Michael Wright has directed, following DICKENS IN AMERICA (at MCT in 2006 and American Players Theatre in 2013) and WAITING FOR VERN (with Collision Theatre Ensemble in 1993). The two have also worked together as fellow actors in productions of MOOT, THE LARAMIE PROJECT and TWELFTH NIGHT, and Wright has directed DeVita as an actor in WAITING FOR VERN and MCT’s 2009 production of BROOKLYN BOY. Last season, MCT produced a staged reading of CHRISTMAS IN BABYLON as part of the Montgomery Davis Play Development Series, in which Wisconsin playwrights are invited to bring new plays in for a workshop and a public reading at the Broadway Theatre Center. CHRISTMAS IN BABYLON will be the fifth play from that series to move to MCT’s mainstage, following OCTOBER, BEFORE I WAS BORN (2014), BROKEN AND ENTERED (2012), A THOUSAND WORDS (2012) and THE DALY NEWS (2008). During this production, MCT will feature a community partnership with Hope House, a Milwaukee nonprofit dedicated to ending homelessness and creating healthy communities. Hope House was originally created in 1987 by five local churches to address homelessness on Milwaukee’s south side. Over the years, Hope House has evolved into an emergency shelter in Walker’s Point known for providing support, services, and a chance at a brighter future for families. Through a myriad of programs including our emergency shelter, a rent subsidy program that places families in their own apartments while paying their rent for up to a year, providing case management throughout the city, and offering a free onsite youth education program, Hope House houses and supports more than 200 families a year, including over 500 children. During the run of CHRISTMAS IN BABYLON, MCT will be hosting a donation drive for Hope House, and inviting patrons to bring in new sheets, bedding, or $10 gift cards to Wal-Mart or Target – items that can make life a little easier for the families Hope House serves. More details will be made available closer to opening weekend of CHRISTMAS IN BABYLON. CHRISTMAS IN BABYLON performances will take place November 21 – December 23, 2018 (Opening Night: Saturday, November 24), in the Broadway Theatre Center’s Studio Theatre, 158 N. Broadway in Milwaukee’s Historic Third Ward. Tickets are available Monday through Saturday from noon-6:00 p.m. at the Broadway Theatre Center Box Office, 158 N. Broadway, or by phone at (414) 291-7800. Tickets can be purchased online 24 hours a day at milwaukeechambertheatre.com. Group, student and senior discounts are also available. For more information, visit milwaukeechambertheatre.com. CHRISTMAS IN BABYLON is co-sponsored by Briggs & Stratton Corporation Foundation, The Gerlach Family, and Mickey & Casey Ripp. 7:30 p.m. Dec 1 4:00 p.m.
7:30 p.m. 8 4:00 p.m.
7:30 p.m. 15 4:00 p.m.
7:30 p.m. 22 4:00 p.m.
–Pre-performance ViewPoints: Join us for A Conversation with James DeVita. C. Michael Wright will interview CHRISTMAS IN BABYLON playwright James DeVita about the inception and development of his world premiere comedy. This free presentation and Q&A is on Wednesday, November 28 at 6:30 p.m. in the Studio Theatre. –Pre-performance Talk Theatre: MCT producing artistic director C. Michael Wright will lead two lively, informative chats during the run of CHRISTMAS IN BABYLON. On Wednesday, November 28, our guest will be playwright James DeVita. Then, on Wednesday, December 12, our guest will be actor Laura Gray. Talk Theatre always begins at 12:00 noon in the Skylight Bar & Bistro. –Post-performance Talkbacks: Post-show discussions with the artists will take place following performances on Thursday, November 29, Thursday, December 6, Thursday, December 13, and Thursday, December 20. —Pay What You Choose Night: CHRISTMAS IN BABYLON’s PWYC Night will be Wednesday, November 21, at 7:30 p.m. Tickets for that night’s performance will go on sale beginning an hour before the show, at 6:30 p.m. Patrons must visit the box office in person to purchase their tickets, and can purchase a maximum of 2 tickets per order. Laura is thrilled to be back at Milwaukee Chamber Theatre where she was last seen in THE GOOD FATHER with her husband Jonathan Wainwright. Other MCT memories include CRIMES OF THE HEART, THE SWEETEST SWING IN BASEBALL, and TALLEY’S FOLLY. Laura is also in her 10th year as an adjunct on the theatre faculty at Carroll University. Mary is thrilled to be acting again for Milwaukee Chamber Theatre. She has appeared in more than 20 productions here, most recently playing QZ in THE FEW. Favorite Chamber roles include Alice in THE DETECTIVE’S WIFE, Sheila in JOE EGG, Dana in THE SWEETEST SWING IN BASEBALL and Sally in VOICE OF THE TURTLE. Mary has also performed with Renaissance Theaterworks, Milwaukee Rep, First Stage, Milwaukee Shakespeare and Next Act Theatre. Favorite roles from that list include Pope Joan in TOP GIRLS, Anna in BURN THIS (opposite CHRISTMAS IN BABYLON’s playwright James DeVita), Terry Glimmer in SIDE MAN and five runs of SHEAR MADNESS, playing Barbra Di Marco. Mary is also a director, and is especially proud of her work on THE GLASS MENAGERIE at In Tandem, LUNA GALE at Renaissance, MOTHER COURAGE at Carthage College and GOING TO ST IVES at Next Act. Tom is delighted to be back on stage at Milwaukee Chamber Theatre, after last appearing as Yvan in ‘ART’ a few years ago. A self-proclaimed “lover-of-all-things-Christmas,” he owns the Midwest’s largest selection of ugly seasonal sweaters and has been playing Christmas music in his car since June. 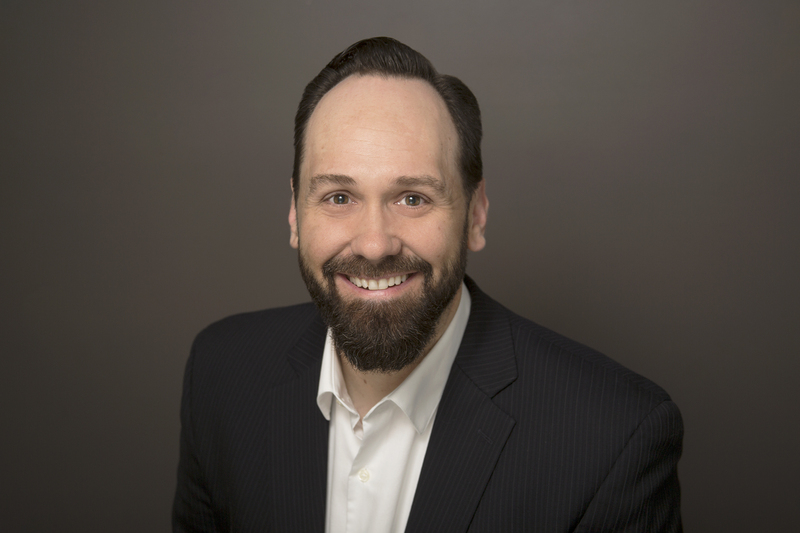 Tom has been an Equity actor, a musician, and a decorated theatre educator in the area for the past 25 years, and he is currently serving the arts community in Madison where he is in charge of all patron services for Overture Center for the Performing Arts. Eva Nimmer is glad to make her MCT debut by bringing to life this wonderful new play. Eva has performed throughout Wisconsin with companies like Forward Theater, Children’s Theater of Madison, Four Seasons Theatre, Luminous Theatre, Theatre LILA and earlier this year, Next Act Theatre (EQUIVOCATION) and Milwaukee Opera Theatre (ANTIOLOGY). She has also worked extensively with Northern Sky Theater in Door County, where she recently co-authored and premiered a new musical with collaborators Joel Kopischke and Alissa Rhode entitled DAIRY HEIRS. Eva received her BA from the University of Wisconsin-Madison. Sara is thrilled to be back on the Chamber Theatre stage! She was last seen here as Dawn in LOBBY HERO and Becky in SLOWGIRL. Favorite past shows include: NOISES OFF (Poppy) at Milwaukee Rep, CHITTY CHITTY BANG BANG (Boris) at First Stage, THE SUREST POISON (Lipstick) at Renaissance Theaterworks, THE TAMING (Bianca) at Next Act, and ‘TWAS THE MONTH BEFORE CHRISTMAS (Mary). Sara has also taught at First Stage Academy, Waukesha Civic Theatre, and was a part of the ROMEO AND JULIET educational tour with Utah Shakespeare Festival. She received her BA in acting from UW-Milwaukee, and was part of the Emerging Professional Residency with Milwaukee Rep.
Michael has directed three original plays by James DeVita, including WAITING FOR VERN (Collision Theatre Ensemble, 1993) and DICKENS IN AMERICA (MCT, 2006 and American Players Theatre, 2013). He has also acted alongside Jimmy in MOOT (Milwaukee Rep, 1992), THE LARAMIE PROJECT (Madison Rep, 2003) and TWELFTH NIGHT (American Players Theatre, 2004), and directed him in WAITING FOR VERN and BROOKLYN BOY (MCT, 2009). Michael has directed 28 productions at MCT, including DOUBT, MIRACLE ON SOUTH DIVISION STREET, THE FEW, LOBBY HERO, FALLEN ANGELS, SLOWGIRL, THE TRAIN DRIVER and UNDERNEATH THE LINTEL, as well as two other original works: OCTOBER, BEFORE I WAS BORN and THE DALY NEWS. Michael has been acting professionally for over forty years, having appeared in regional theatres all across the country, as well as in Athol Fugard’s “MASTER HAROLD”…and the boys on Broadway, in Israel and in the national tour. His most recent performances have been as Paul in a concert version of A CHORUS LINE for Milwaukee Opera Theatre and Theater RED, and as Vanya in VANYA AND SONIA AND MASHA AND SPIKE here at MCT. In 2009, Michael was honored as “Artist of the Year” by the City of Milwaukee Arts Board. James DeVita, a native of Long Island, NY, is an author, actor, and theatre director who is a core company member and literary manager at American Players Theatre. His produced plays for the stage include CHRISTMAS IN BABYLON, LEARNING TO STAY, GIFT OF THE MAGI (a musical adaptation), IN ACTING SHAKESPEARE, THE DESERT QUEEN, DICKENS IN AMERICA, WAITING FOR VERN, THE THREE MUSKETEERS, and a new adaptation of CYRANO DE BERGERAC. Jim has also worked extensively as a playwright for young audiences, and has written three novels: A Winsome Murder, The Silenced, and Blue. He is a recipient of the National Endowment for the Arts Literature Fellowship for Fiction, and a member of The Dramatists Guild and Actors Equity Association. His education began as a first mate on the charter boat JIB VII out of Captree Boat Basin, NY. He then studied theatre at Suffolk County Community College in Long Island, where he received an AS degree, then received his BFA at the University of Wisconsin-Milwaukee.